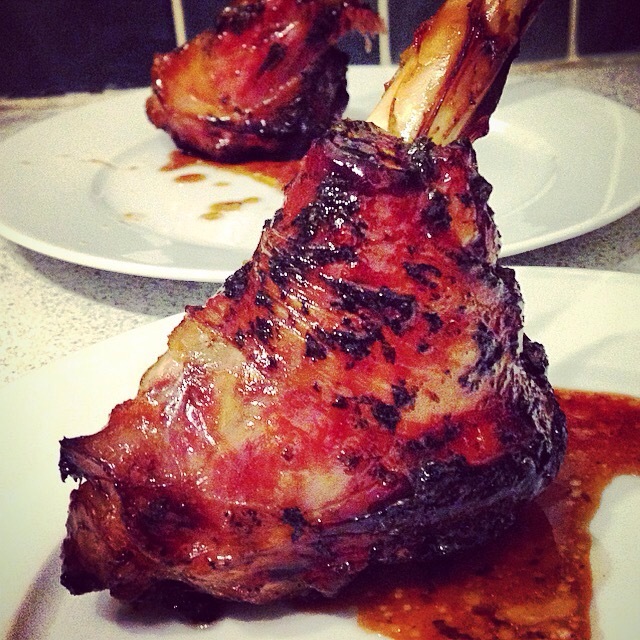 Lamb shanks are absolutely my favourite cut of lamb. For me they have to be very, very slow cooked so the meat flakes straight off the bone and melts in your mouth. My best friend Charlotte and I used to spend every Sunday of our late teens and early twenties in the Prince’s Head on Richmond Green, drinking lots of beer and gossiping. I would always have the honey and mint lamb shanks and the other weekend was feeling a bit nostalgic so gave them a go. Finely chop the mint and simply mix with the honey and add a good pinch of salt and black pepper. Put the lamb shanks in a roasting tray and bast with the mix. Place them on their sides and cover the tin with tin foil (shiny side down, I mean, come on.) and pop in the oven on a very low heat (maybe 150-60°c/gas mark 2-3) for four to five hours. Half way through take the lamb out and baste with the juices in the pan.